Cleopatra 2019 8pm Saturday 16th March. $25/20 concession. Be sure to be there early for 8 pm entry. a unique multi-sensory, ceremonial deep listening experience that offers you the chance to lie back & surrender to the voyage. Who knows where it will take you or what creative universe you will meet on your travels within? This soundtrack experience already rich and beautiful, is still in development and has been created in the spirit of unknowing & with attention to presence. A classic heroes journey, courage is required! Cleopatra has already been presented several times in America, Egypt and Melbourne. We are thrilled to be able to present it at The Body Voice Centre with the kind support of John Howard & Michelle Fox. Please note that Cleopatra involves ALL the senses including gentle non-invasive touch. River beneath the River is the unique original music and video universe of locals Martin Elepans Irreverent Bard and Begetter of Music & Rebecca Spalding Sacred Songstress and Creative Co-Conspirator. Together they devise, create, compose, record, produce, perform and stage extraordinary & wondrous music/film/art events that bring people together in the spirit of connection & celebration. 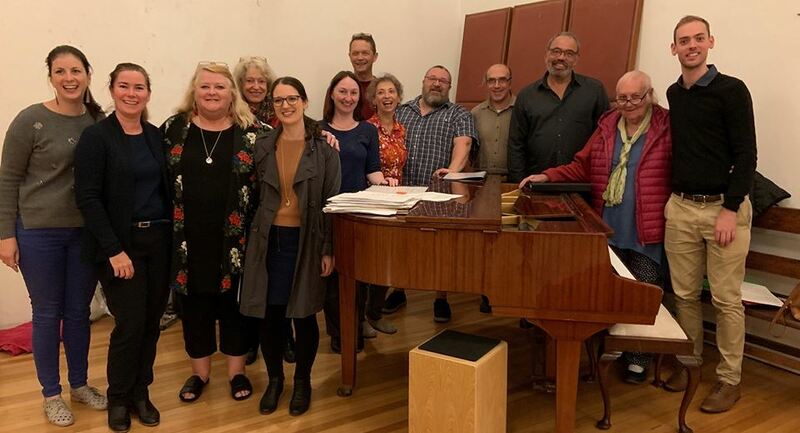 The Body Voice Centre has become home for these creative happenings such as A Soundtrack for The Artists Dream which was a collaborative performance that included live music, dance and visual arts. We are thrilled to present the most recent creation CLEOPATRA, an exclusive multi-sensory, ceremonial, deep listening experience. Booking required! Keep your eye on this space for the next offering from River beneath the River soon to be announced. The Blake Musical School provides professional tuition in guitar, bass, singing, keyboards, violin, drums and even yodeling! Please contact individual teachers directly to arrange lessons.